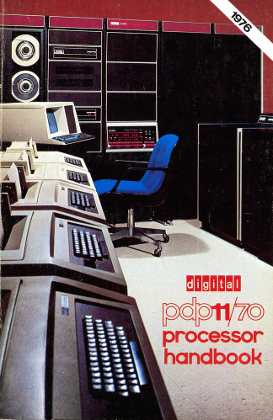 Aside from the technological significance of the DEC PDP11 computers, I'm also so thoroughly in love with their design, colours, fonts and advertising material. Quintessentially 70s. I want that chair! The carpet! The red walls! A bank of dead PDP11s for hanging my clothes in, with a Mac Mini running an emulator inside it! Scan by PanelswitchMan on Flickr. Older post → Goodbye blog comments!